Safari Magic. 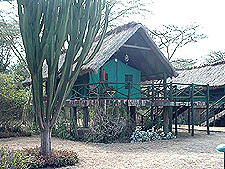 Lonrho Lodges & Hotels in Kenya, East Africa. 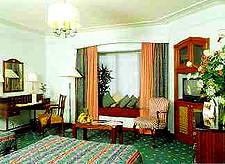 The Lonrho Hotels in Kenya tend towards genteel character, often with historical significance. Utmost service and understated opulence are hallmarks. No other hotel in Kenya has as rich a history as the Norfolk, one of the world's most romantic hotels. 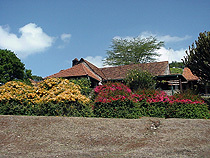 It is said that Nairobi as a capital city grew up around the Norfolk. From the new and old worlds the first guests came, many of noble birth. The guest list made its name as a legend then and still does so today. The Norfolk has always been “the”� starting point, as well as refreshing ending place, for safaris beyond the capital. All bedrooms have private bathroom with shower and bath, mini-bar, television and radio, direct dial telephone and air conditioning. Its impressive list of leisure facilities and activities includes the swimming pool, health club with fully equipped gym, saunas, steam rooms, aerobics classes and massage, hair and beauty salon, shops and newsstands, and piano entertainment every evening. The Norfolk offers five gourmet menus and three bars including: The Ibis Restaurant, The Lord Delamere Restaurant, The Lord Delamere Terrace - the ideal meeting place and where most people gather, the Poolside Restaurant, and the Hibiscus Lounge & Cocktail Bar. 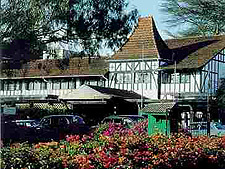 They also provide venues for cocktail parties, and grand dinner and dance functions. Set in the heart of the Aberdare National Park, this unique game lodge overlooks a floodlit waterhole and salt lick which attracts a host of wildlife - elephant, rhino, leopard, bushbuck and occasionally an elusive bongo or giant forest hog. 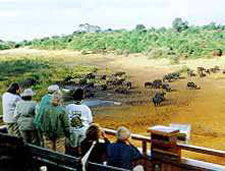 Guests come to The Ark for game viewing and many “camp out”� all night at a choice spot on one of the viewing decks to watch the fascinating, passing display. Resembling and named after Noah's Ark, The Ark comprises three decks from which numerous balconies and lounges provide superb vantage points for game viewing. A ground level bunker provides excellent photographic opportunities and takes you closer than you would believe possible to the animals. 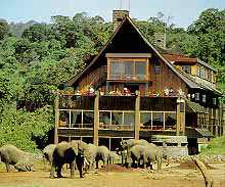 The Ark is a forty minute drive high into the forested reserves of The Aberdare National Park. The Ark has 60 'cabin-styled' rooms all with private bathrooms and shower and enjoy a view of the forest waterhole. 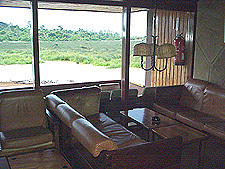 Cabins are fitted with buzzers to announce the arrival of one of the "Big Five" at the waterhole. A lounge and a bar remain open all night for tea and coffee. 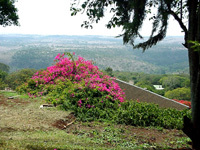 Just a two-hour drive from Nairobi, all rooms and cottages have spectacular views of the plains below, the Aberdare Mountains to the west and Mount Kenya to the east. 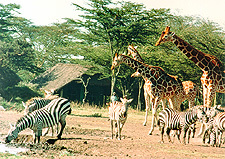 The Club's 1,300 acre wildlife sanctuary abounds with Thompson and Grant's Gazelle, Zebra, Giraffe and the more reclusive leopard. You can walk or ride through this unspoiled paradise, play a round of golf - watched by a family of warthog, fish for trout, play tennis or just relax by the pool or in the gardens. 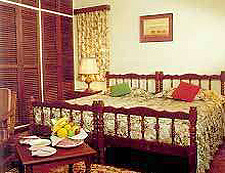 The bedrooms are tastefully furnished and all have private bathroom with shower and telephone. 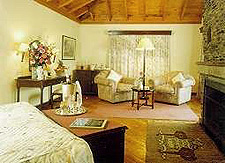 The cottages have two bedrooms, each with interconnecting doors, and most have fireplaces. 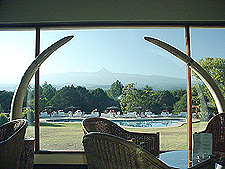 A balcony provides superb views of either Mount Kenya or a pretty woodland where bushbuck often come to graze. The restaurant offers first class cuisine with a selection of European, Asian and Kenyan dishes; the dining room is situated in the main building along with the lounge bar. The wide range of recreational facilities available include: Swimming pool with bar, putting green, 9-hole golf course, horse riding, tennis courts and a game sanctuary. Guests can also take advantage of the excellent local fishing, as well as enjoy game and safari walks. Special “Bush Dinners”� can be organized for an unforgettable way to enjoy the beautiful high country environment. Ever since the Club was founded in 1959 by the late film star William Holden, it has been a Mecca for the international jet set - its list of members reads like a Who's Who of royalty, aristocracy, and the rich and famous. The mixture of villas, cottages, garden suite, club rooms and studio suites all have private bathroom with shower, telephone, and log fireplace. The luxury villas have a large sitting room…and most rooms have a private verandah overlooking the majestic Mount Kenya. Dinners are an elegant affair at the Safari Club. There is a choice of two restaurants; the Mawingo and the Kirinyaga. There are also two bars; the Mountain View Bar and Lounge, and the Trophy Lounge which has a relaxed and friendly atmosphere and is the ideal setting for cocktail parties. 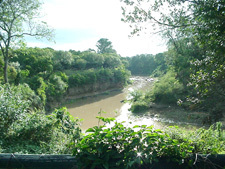 The luxurious Mara Safari Club is surrounded on three sides by the Mara River, all tents have their own private river frontage, with four-poster beds, verandah and modern en-suite facilities. The main building, with lounge, bar and dining room is cantilevered over the river. The feeling is one of suspension into this wild, natural world. Al fresco buffet lunches and nightly activities of Masai dancing, slide shows and talks on the Mara's ecosystem and Masai culture, all add up to create a truly unique experience. Each standard tent has netted four poster beds and verandah overlooking the hippo-filled river. The height of luxury in the wild, each tent is superbly furnished and has its own private bathroom with hot and cold water. Every Premium Tent, also with private river frontage, has its own minibar, 2 tents have sunken baths, and 3 tents have double beds. Guests can enjoy bird walks, fishing safaris, Masai dancing and a visit to a Masai village, meals in the Bush, including a Nature Walk followed by a Bush Breakfast, and Sundowner cocktails. A cosmopolitan combination of food is served, including traditional Kenyan dishes. Buffet lunches and barbecues are sometimes held by the poolside. Sweetwaters Tented Camp lies in the heart of privately owned 19,000 acre Sweetwaters Game Reserve, enjoying magnificent views across the game - studded plains to the snowcapped peaks of Mount Kenya. With walking safaris, bird walks, swimming pool, camel safaris and outdoor dining, there is always plenty to do. There is also a new Visitor's Information Centre at Morani's Boma, home of the tame black rhino who will be delighted to pose with you. Accommodation is provided in luxuriously appointed tents, set under thatch, with en-suite facilities and private verandah. 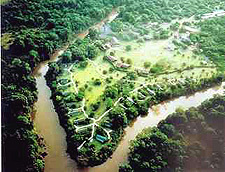 25 of the tents overlook the waterhole and salt lick on property. Within the quaint, original farmhouse is the dining room, bar and reception with its superb accommodation, personal service, first class cuisine and outstanding array of activities. 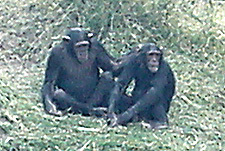 A 200-acre Chimpanzee sanctuary is at Sweetwaters Game Reserve, a 15-minute drive from Sweetwaters Tented Camp. The aim of the project, initiated by Lonrho East Africa, Kenya Wildlife Services and the Jane Goodall Institute, was to set up a colony where orphaned and abused chimps could be introduced, rehabilitated and taught to fend for themselves. Naika, on left ... adopted by New Adventures.